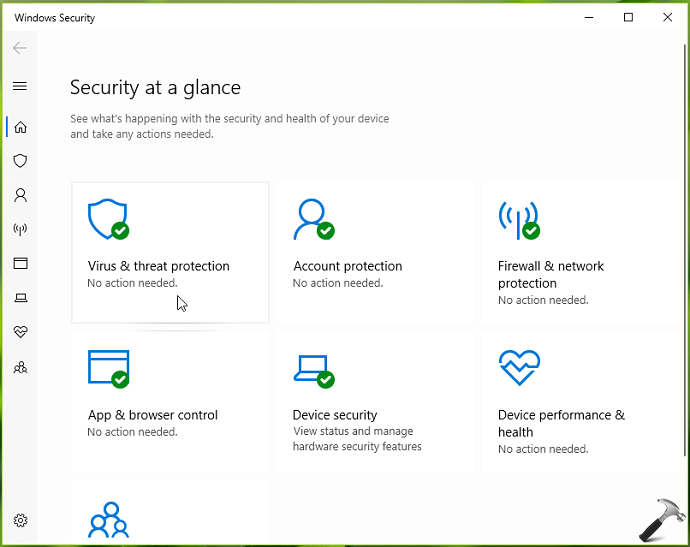 In Windows 10, Windows Security app works as the Windows Defender antivirus program. Microsoft keeps adding new features to this antivirus program so that users will not need to install third-party antivirus programs additionally. Since the release of Windows 10, Microsoft has added variety of new features to Windows Security app. Today, in this article we’ll talk about one of the new feature added recently to Windows Security. This feature is called Tamper Protection and it is available on Windows 10 build 18305 or later. With Tamper Protection feature enabled, it would not be possible for malicious apps to alter Windows Security app settings. In other words, the apps with security threats won’t be able to tamper Windows Defender antivirus settings. The settings will include real-time protection, cloud-delivered settings etc. This will clearly prevent malicious apps to take control of Windows Security and thus your system. However, as an administrator, you’ll be still able to configure these settings, like you do it always. Note that Tamper Protection feature is available to Windows end users via Version 1903. This feature doesn’t affects how other antivirus programs (if installed on your system) works with Windows Security app. You can enable/disable Tamper Protection feature on-demand using steps mentioned below. 1. Open Windows Security app. 2. In Windows Security window/dashboard, click on Virus & threat protection tile. 3. Next, under Virus & threat protection settings, click on Manage settings link. 4. Finally, in next screen, scroll down and you’ll find Tamper Protection heading. You can toggle the option to On or Off to enable or disable Tamper Protection feature, respectively. Note that the feature is enabled or On, by default. When you disable it, a yellow warning icon appears on Virus & threat protection tile. Your settings are saved immediately. You can now close Windows Security app and return to Desktop, if you want.